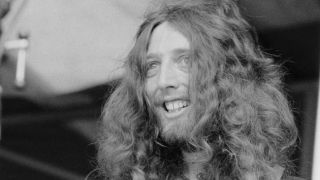 The Steve Hillage Band are to play their first dates for 40 years in 2019. The three so far confirmed are Cambridge Junction June 6, Manchester O2 Ritz 7, London O 2 Shepherds Bush Empire 8. Tickets go on sale this Friday 14 December at 9.30am. A preorder link has also been sent up here. “The Cambridge show is in a venue much smaller than the others,” says Hillage. “But I will still be putting on the full show. This is in no way merely a warm up for the others. Hillage will use Gong as his backing band, again a decision that is pragmatic. The set will be based around Hillage's first four solo albums, namely Fish Rising (1975), L (76), Motivation Radio (77) and Green (78), all of which were Top 40 successes. It seems almost inevitable that at least one of the gigs will be filmed and recorded. “Nothing has been discussed as yet. But it would be crazy not to do it. We'll have to work out the logistics of whether we do one or more shows, and how we release this. That puts more pressure on me to ensure this is all top class. Hillage is also not ruling out the possibility of recording new material with this line-up.